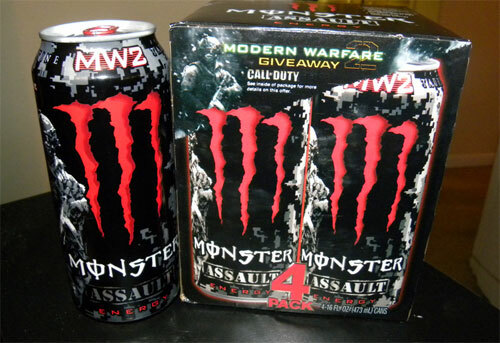 Monster Energy will be releasing Modern Warfare 2-branded Monster Energy drinks in October 2009 and each package will have a code for different prizes. 5000 of those winners will be offered a free Modern Warfare 2 map pack, which has a "planned" release date in spring 2010. Free cans of Monster Energy drink. 100 copies of Modern Warfare 2 for the Xbox 360 and PlayStation 3. 5000 Map Pack codes for the Xbox 360 and PlayStation 3. 10000 Modern Warfare 2 dashboard themes for the Xbox 360 and PlayStation 3. The codes can be found in specially marked 4-packs.